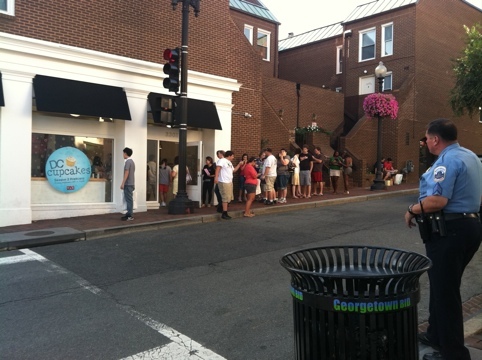 The first earthquake in 30 years and there is still a friggin line at DC Cupcake! You may have seen the wildly popular DC Cupcake reality show on TLC — let’s face it you don’t need much to be popular on that channel. Well after the earthquake in DC the police thought so much of DC Cupcake that they sent over an officer to keep an eye on things. I wonder how many Dunkin Donuts got the same treatment. 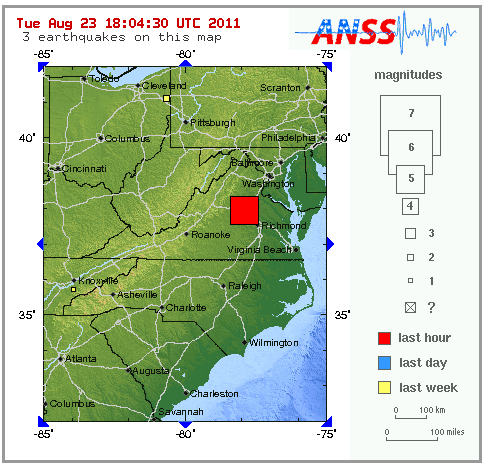 An 5.8 quake hit right outside of the DC metropolitan area about five minutes ago. The quake lasted for about 20 seconds, but didn’t do any damage. The Pentagon and most government buildings were evacuated as a precaution…and because they don’t work after 2:00 anyway. The status of Georgetown Cupcake is still unknown, however, it is thought to have only lost a few cupcakes. Mark’s a little late to the streaming bandwagon. So far Netflix and Apple are the two Titan’s in the streaming world. However, Amazon just threw their hat in the ring and Hulu is making waves with its free content. 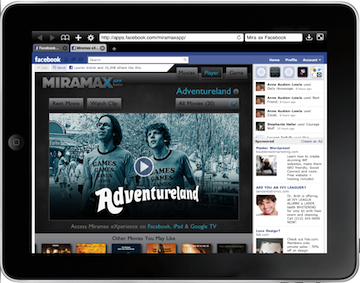 Facebook recently announced a deal with Miramax to create a Facebook app that would stream Miramax movies directly to Facebook users. Warner Brothers, Paramount and Universal all have deals with Mark Zuckerberg’s company, but none of this scope. The Miramax eXperience goes live today, offering 20 titles to users in the United States and 10 to those in the United Kingdom and Turkey. Franceand Germany are next up. As for the streaming service itself, the 30-Facebook credit ($3) rental can last up to 30 days, but once someone starts to watch the film there is a 48-hour window to finish it. 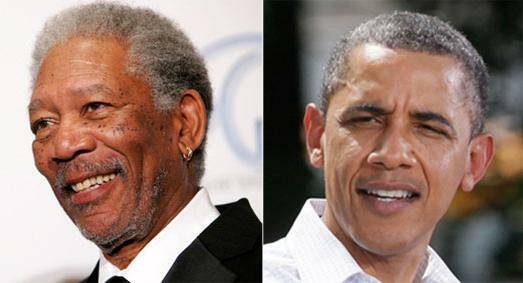 Morgan Freeman “accidentally” bumped into Obama as he was playing golf at Martha’s Vineyard. Freeman, who is a major Obama supporter, gave the Pres this advice. “I think he’s been horribly sandbagged, and it makes me so angry,” he said. Have not heard the term sandbagged since the Clinton administration.